Every morning and night, Summer Wright takes two pills. The first is her daily dose of estrogen. The second blocks the testosterone her body produces. 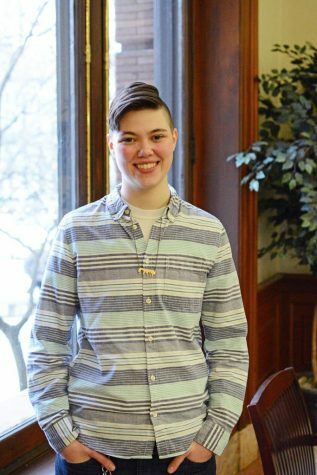 When her insurance plan expires in a few months, Wright, a transgender woman and first-year social work major, may have to pay out of pocket to maintain the body that feels like home. Wright said she never considered using Pitt’s health care services because she didn’t think it was an option. For now, she’s right. Currently, Student Health Services can only assist trans students interested in hormone replacement therapy by referring them to local mental health or transgender-related services at other facilities. Just two years ago, if transgender students at Pitt needed to see a doctor who understood their specific medical needs, they could go to the Student Health Center and talk to Melanie Gold. Gold was a clinical professor of pediatrics at Pitt and could write prescriptions for hormones for trans students, covered by students’ yearly $210 wellness fee. Gold’s trans care program, open to undergraduate and graduate students, initially started with simply refilling prescriptions for trans students who wanted to maintain their hormone levels. But when her name became well known on campus, students started requesting more comprehensive trans health care, such as prescribing medicine and teaching students how to inject hormones. In late 2008, Gold formally put together a multidisciplinary team at Student Health to care for trans students at Pitt, including nurses, pharmacists, psychiatrists, therapists and physicians. 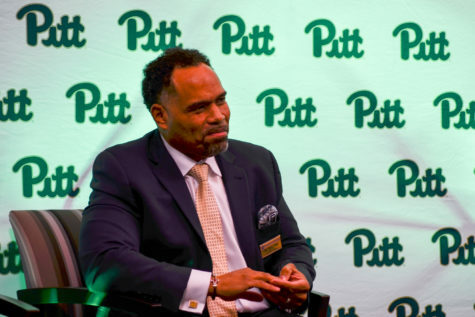 But in August 2014, Gold left Pitt for personal reasons and began working at Columbia University Medical Center. 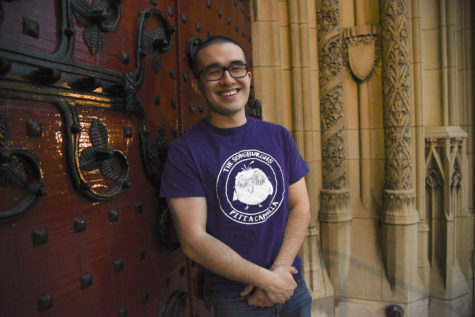 Since then, Pitt’s Student Health Services has been searching for clinicians to fill Gold’s position in order to continue its in-house medical services for Pitt’s trans students. 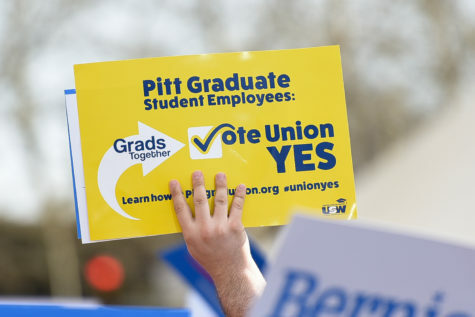 Although still the same price, the wellness fee now only covers primary health services, co-pays and educational programs while Pitt still searches for Gold’s replacement. According to Marian Vanek, the director of Student Health, hormonal therapy is specialty care that requires specific training and is not typically available at student health centers. Pitt currently refers students who need assistance with hormonal therapy, like Wright, to Metro Community Health Center, a federally qualified nonprofit that provides medical help for the underserved members of the society. At Metro, located in Edgewood, students can use their UPMC student health insurance plan or any other major insurance company plan to get hormone replacement therapy and mental health services. 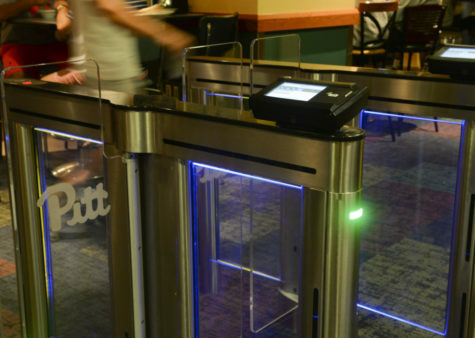 Martin Seltman at Metro said in an email that the center provides holistic general medical care, including hormone therapy, for more than 500 trans individuals, but said he doesn’t keep track of how many go to Pitt. Metro also assists trans individuals who are interested in gender confirmation surgeries with referrals. 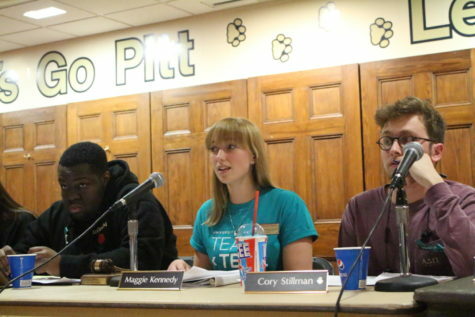 Currently, while Pitt is looking for Gold’s replacement, Vanek refers students to Seltman. “We are in the process of exploring the possibility of having one of our clinicians receive specialty training in order to provide additional services in-house or contracting with one of Metro’s physicians to provide periodic care on site,” Vanek said. 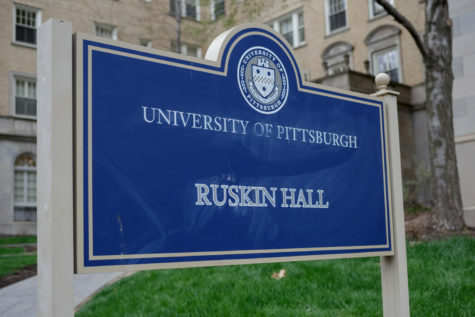 According to Alexander McCarthy, the former president of Pitt’s Rainbow Alliance, members of the club have been meeting with Pitt administrators since spring of 2012, including Vanek and former Vice Provost and Dean of Students, and current vice chancellor and chief of staff Kathy Humphrey, about how to make campus more LGBTQ+ inclusive, particularly by improving care for trans students. Although trans care is not exceptionally difficult, Gold said by the time she left Pitt, no one agreed to take over her position. She said not many people are experienced in the field, but a good doctor can train easily for the position. 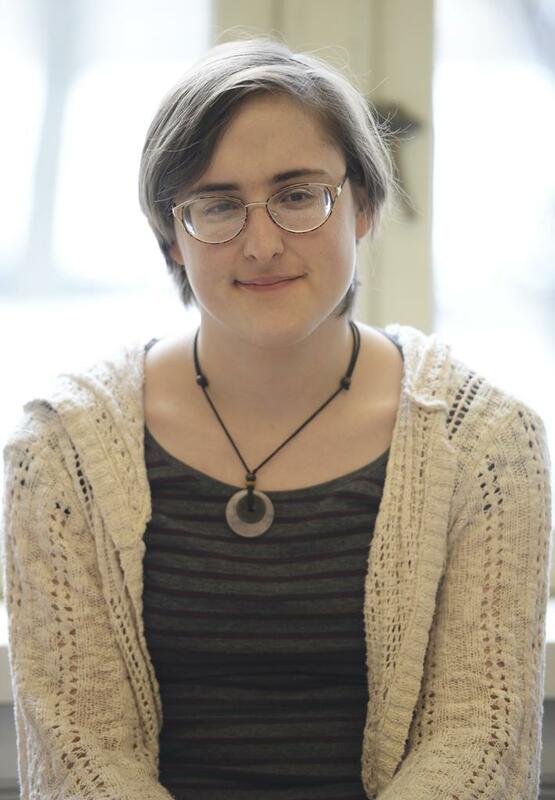 Madeline Barber, a transgender Pitt junior studying theatre arts and English writing, travels to Metro regularly. Barber said ey have heard very little about about Pitt’s trans care program. Barber, who has never considered using UPMC insurance because of its $200 premium fee, uses Medicaid to pay for the hormone replacement therapy ey started three years ago. Ey said ey visits eir Metro doctor regularly and always receives eir hormones, but it was a long road to get where ey are now. 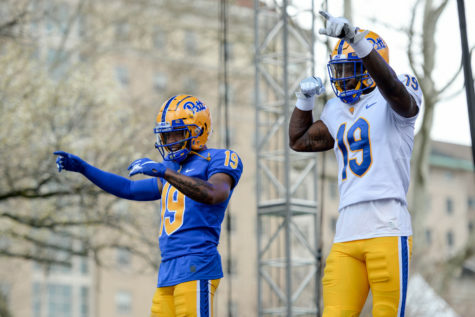 When Pitt refers a student to Metro, Seltman said doctors first lead patients through an initial history, a physical exam and several lab tests. If the student doesn’t have any contraindications — any reason to withhold medical treatment because it could be harmful — to hormone treatment, the student could start receiving doses of hormones at their second appointment. After Metro prescribes a student hormones, doctors will follow up every three months for the first year and then every six to 12 months after that, if the process is going smoothly. According to Gold, most transgender health clinics follow Standards of Care, a clinical guideline published by The World Professional Association for Transgender Health, as well as the Clinical Practice Guidelines, which is published by the Endocrine Society. Standards of Care has been amended so trans individuals no longer have to present themselves in certain genders for an extended period of time and mental health therapy is no longer required to receive hormones. According to Lori Fell, the director of clinical programs at Persad, an organization for outreach, education and advocacy for LGBTQ+ communities on Butler Street, doctors now only require informed consent, in which they must inform patients of the risks and benefits of beginning to transition. “Trans clients are free to pursue any avenue to transform their bodies. It is not up to anyone to say yea or nay,” Fell said. Joanne Goodall, a nurse practitioner at the Center for Adolescent and Young Adult Medicine at UPMC, said her UPMC program has provided health care for more than 100 transgender people under 26-years-old, including 10 Pitt students, six of which are actively working with her. Goodall said she thinks the amendment in the Standards of Care requirements makes for a more inclusive process. “For some people, it is not safe to physically transition 24 hours a day, seven days a week. They have to go to work in one presentation and they live the rest of their life in their preferred gender,” Goodall said. Barber said the older version of Standards of Care, which ey underwent during her transition, required em to present emself as a female for one whole year before ey started taking hormones. “That would mean growing my hair out longer, just presenting myself as a stereotypically feminine role,” Barber said. Barber considered emself lucky because people around em started to accept em as a woman fairly quickly, but before a doctor could prescribe em hormones, ey needed a letter from eir therapist who monitored eir transition process and mental health. “For me right now, it is pretty simple. I visit my doctor every month. I tell her about my transition for a little bit. She puts in her prescription — usually refill, but actually always refill. And I go to my pharmacy and pick it up,” Barber said. Wright, on the other hand, said the old version of Standards of Care hindered her transition. “It made everything slower, very frustrating. It actually blocked me from being able to get bottom surgery one year because of unrelated mental health issues,” Wright said. Although sometimes a slow, tedious process, Goodall said her patients undergo transitions because they have no other choice. Many transgender people feel “isolated and alienated” because people fear who they are, according to Barber. Barber said it is important to ensure that trans people have access to mental health help and to educate the masses about trans issues to block discrimination and oppression. According to the National Transgender Discrimination Survey, 46 percent of surveyed trans men and 42 percent of trans women attempted suicide. While Pitt does not currently offer any trans-specific support groups, students can join three trans-specific mental health support groups — one for teenagers and two for adults — that Persad facilitates, according to Fell. In the past, Pitt had a trans-specific support group with the counseling center, which Gold founded and ran from 2009 to 2014. Rainbow Alliance is working on gathering interest from students to re-establish a support group this summer, according to McCarthy. Barber said a group like the one McCarthy wants to reignite is important because trans issues are currently so neglected. 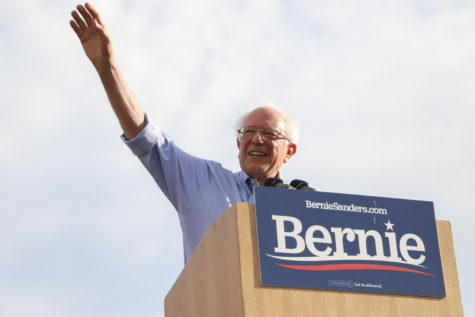 “What we need is mental health reform in general. But we need to offer mental health specially to transgender people because we can’t get it, and we feel isolated,” Barber said. For $125, a transgender person can purchase a vial of estrogen that will last them for a few months. For $80, they can purchase a vial of testosterone, which can also last for months. Hormone blockers, which block certain hormones in the body, cost $3,500 according to Goodall, but are not vital to a successful transition. Gold said although trans medications in general are not terribly expensive, insurance should still cover trans medicines. “It doesn’t change the fact that if your antibiotics are covered, why shouldn’t that? If your birth control is covered, why shouldn’t that,” Gold said. Although some insurance companies, such as Keystone Health, which has merged with Blue Cross Blue Shield, offer coverage for trans health care, the specific plan they choose determines whether or not coverage is available. Some states, like New York, have expanded Medicaid programs to cover both medications and surgeries. 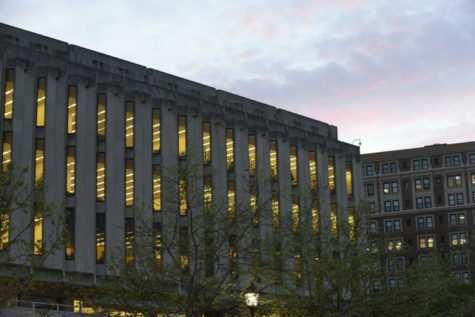 According to Goodall, Pitt’s Student Pharmacy distributes hormones that last for four to six months at a discounted price of about $40, but they need a prescription, which Pitt’s doctors can’t write. For Pitt trans students, Metro not only accepts all insurances and has a sliding scale for those who are uninsured, but also offers discounted lab tests and medications. Many trans people pay for hormones out of pocket. 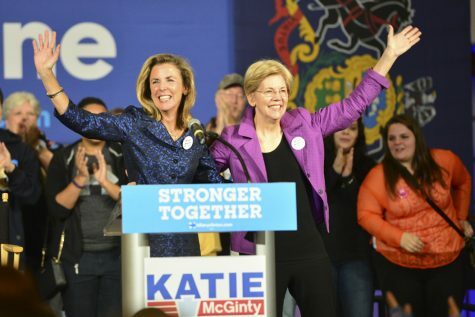 “I know a fair amount of students who are on hormone replacement therapy. But all of [the trans people] that I talk to haven’t gotten it covered by insurance. But all the ones that I have talked to are on testosterones,” McCarthy said. According to Goodall, estrogen tablets are usually covered by insurance, but testosterone is not. Injectables are also not covered and have the extra cost of buying syringes. “Transitioning is not an easy passage. People lose their jobs, friends and even their families for this. This is how important transition is for transgender people,” Goodall said. Barber, who currently uses Medicaid, previously used employer-sponsored insurance through Starbucks. According to the Starbucks website, Starbucks requires its beneficiaries to work at Starbucks more than 20 hours a week in order to receive its health benefits. “Starbucks has the absolute best health coverage for trans individuals. They cover hormone medication and gender confirmation surgeries, which a lot of health insurance providers don’t,” Barber said. Insurance companies that provide for hormones often also cover the cost of surgery, which can reach $6,000 for top surgeries and much more for bottom, depending on the hospital fees, according to the Philadelphia Center for Transgender Surgery. “If things went the way we would like them to, the insurance would cover both medicines, including blockers, and surgeries. But they [currently] don’t cover surgeries. Hopefully in the next few years, it’s going to happen. It’s getting closer. But we are not there yet,” Goodall said. Not every trans person wants surgery, but those who do struggle to afford it. Wright said she wants a vaginoplasty surgery, commonly referred to as bottom surgery, but doesn’t have the spare change. While she continues gathering cash for her surgery and taking hormones daily, Wright dreams of eventually feeling that her body reflects her identity.